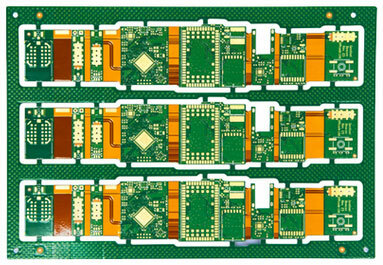 Printed circuit boards often have very closed space traces of copper and component pads. To protect these copper traces and component pads, there is little space between them. It is mainly used to avoid oxidation and contact with the external environment and electrical isolation on the printed circuit board. In addition to these benefits, solder mask materials also prevent scratches of moving electronic components and thermal aging. Other names of solder mask materials include solder resistance and solder stop masking. Photo-lithio-graphy is a technology that removes solder mask material from traces, pads and terminals to allow components to be soldered on a PCB board. The solder mask material is dependent on the application for which particular PCB is manufactured, as well as the physical dimensions of the PCB, holes, and the size of components. Whether for aerospace or medical, general electronics or telecom industries, PCB standards should also be considered. The most commonly used material is epoxy liquid material which is in very low cost, and made of a thermal-resistant polymer material, and often requires thermal curing. Liquid photo-image-able solder mask materials are also sprayed or silk screened like epoxy screens. Other methods include vacuum lamination on printed circuit board so that trap of bubbles is avoided. This technique is known as dry film solder mask. The thickness of the copper traces and the complexity of the PCB design guide the thickness of the solder mask material. The general rule is to place 0.5 mil of material on the PCB. Gerber documentation and PCB design Software provide solder mask material on the PCB. There are different colors of solder mask material, but the most popular colors are green because this color is easily distinguishable between other electronic and mechanical parts and are less irritating to the human eye. Other common colors include black, white, yellow, red and orange.